Happy Tuesday!! Now that May is officially here I think it’s safe to say that spring is here to stay as well (at least until summer rolls around!). 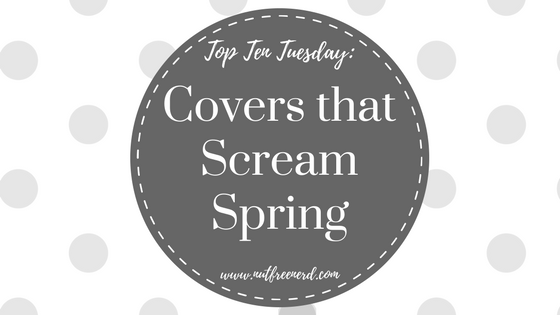 Since this week’s Top Ten Tuesday theme is a cover design freebie, I though I would share with you all my Top Ten Covers that Scream Spring. Who doesn’t love a colorful, happy, vibrant cover to brighten their day? I love the mix of bright blue and pink on this cover. You can’t see it from this angle, but the spine is also fluorescent pink as well. This color scheme makes me think of blooming flowers like the ones in this photo (which was taken in the garden at my home last summer). I always associate flowers with the coming of spring. This gorgeous cover design makes me think of warm weather in general, so it’s perfect for both spring and summer. I love the bold pops of orange, teal, and pink as well as the different shades of green blended together to create the background. The bird and the snake also remind me of the way animals seem to suddenly appear out of nowhere in springtime. This Penguin English Library edition of P&P highlights flora and fauna, two things closely associated with springtime. The colors are vaguely muted, like the way spring can be viewed as a subtler, paler, muted version of summer with its hesitantly hot days and newly blossoming buds. 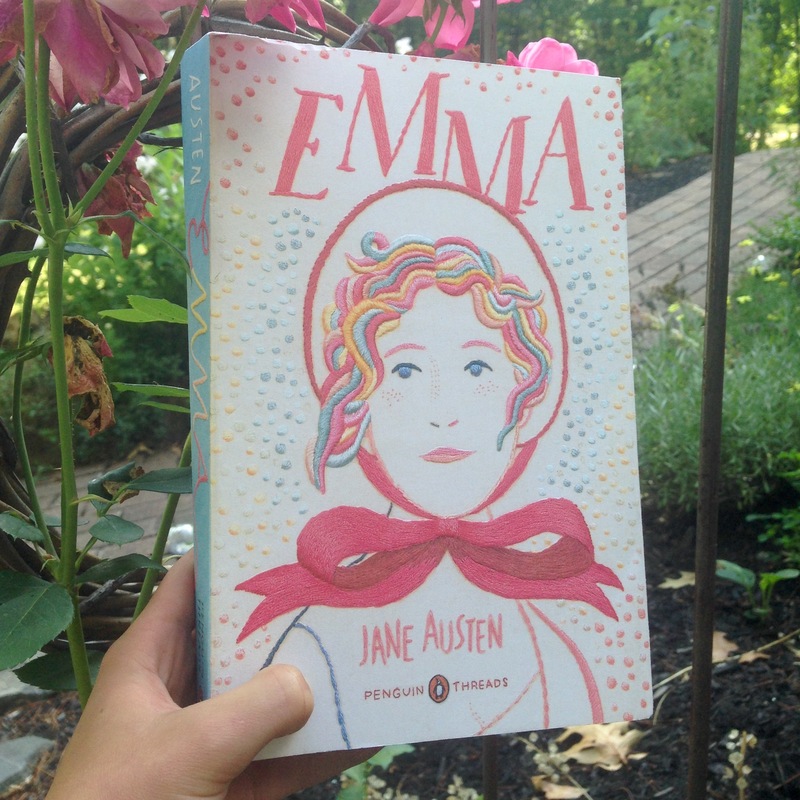 The Penguin Threads edition of Emma immediately makes me think of Easter eggs and the colors surrounding this springy holiday. I especially love the polka dots in the background and the way her hair is a mix of many different colors. Easter has always been a marker of springtime for me, so it’s no surprise that this cover design would be included in this list. Green is closely associated with spring in my mind, which is why this overwhelmingly green cover always reminds me of this lush season. 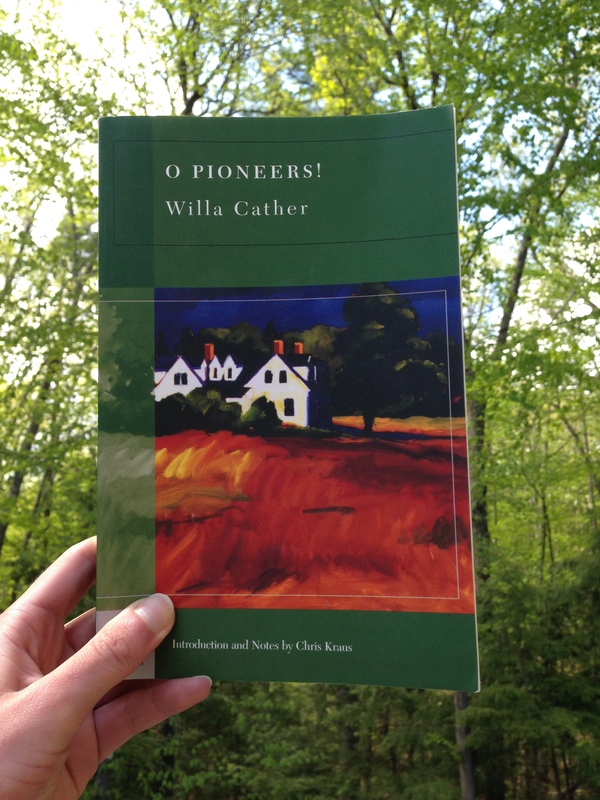 I also first read Willa Cather in the springtime (spring semester of my freshman year of college), so perhaps that has something to do with why I tend to link her with this time of year. What screams spring more than a lawn of freshly cut green grass? Even though this book takes place during the summer, I can’t help but be reminded of spring whenever I look at the cover. 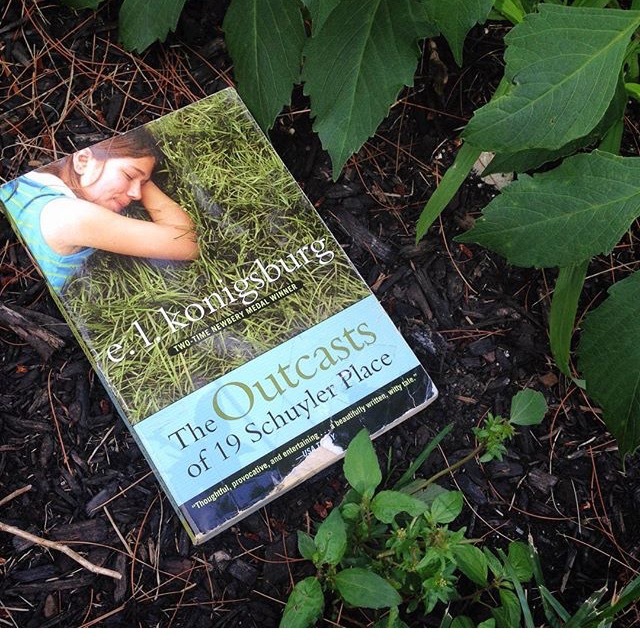 This is another novel that takes place during the summertime, yet its cover is much more reminiscent of spring to me. It makes me think of the feeling of waking up in the morning and realizing that the birds have finally begun to chirp again. I can’t help but add yet another beautiful Penguin English Library edition to this list. I chose this cover for its bright greens and muted blues, both of which I associate with coloring Easter eggs. (Can you tell that I’m quite a big fan of Easter eggs?) 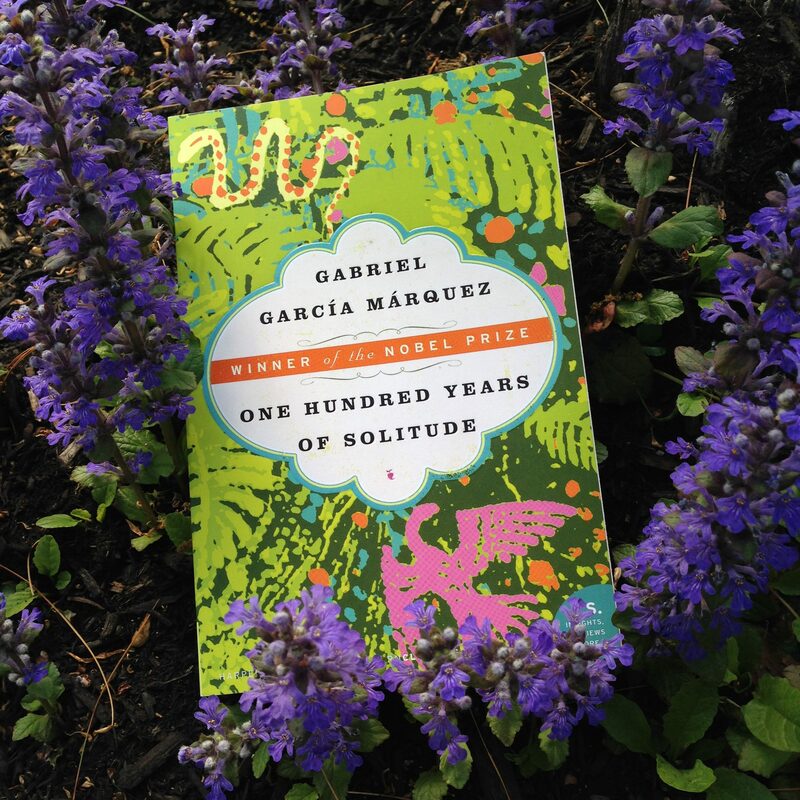 The novel itself also carries a feeling of spring, as characters find new beginnings and experiences that gradually help them grow. 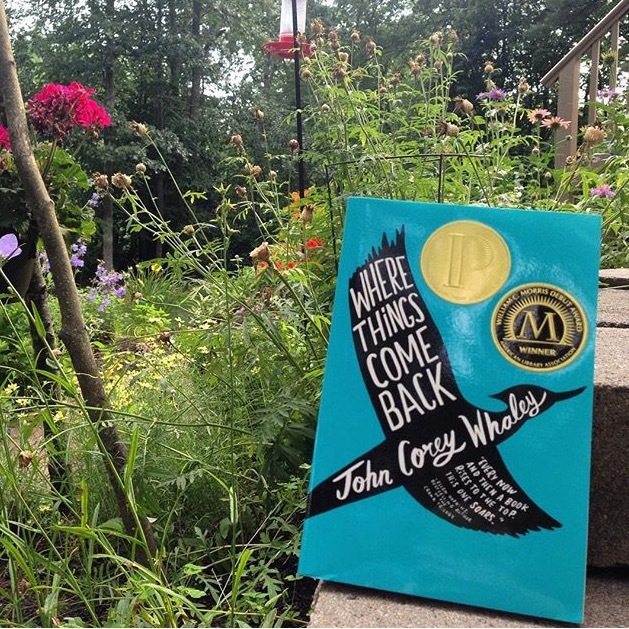 What book covers remind you of spring? What do you think of the books on my list? Let me know in the comments section below! 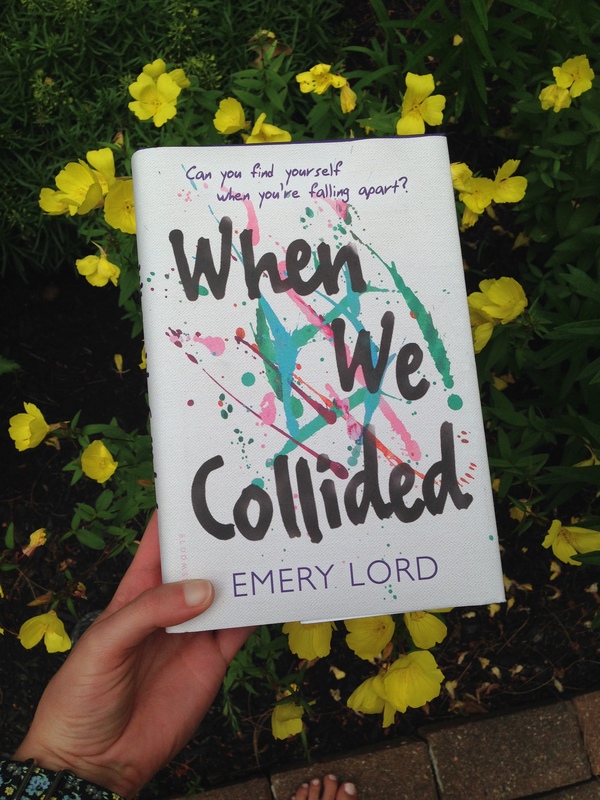 The cover for When We Collided definitely screams spring to me with the turquoise and pink splashes. Great theme! I love all the bright fun colors – makes me want to get outside! Penguin Library Editions are my FAVE ❤ I always look to see if a classic comes in that edition before I buy it. Love your spring theme! Happy spring! Yep! These are all really springy! Ooooh, so pretty! I especially love the ROOM WITH A VIEW cover. The cover of When We Collide, reminds me of the tye-dying I use to do when I was little! All the bright colors are so great together!! I’ve actually never read Emma– I think I’m about 100 pages into it but then I stopped because a new semester started and I got really busy again. Hopefully I’ll be able to read it this summer! i love milk and honey! Ahhh that collection of poetry is SO GOOD ❤ I really need to reread it soon. I love your pictures here! I am currently freezing (because apparently it’s winter again) but this post made me feel spring-like. 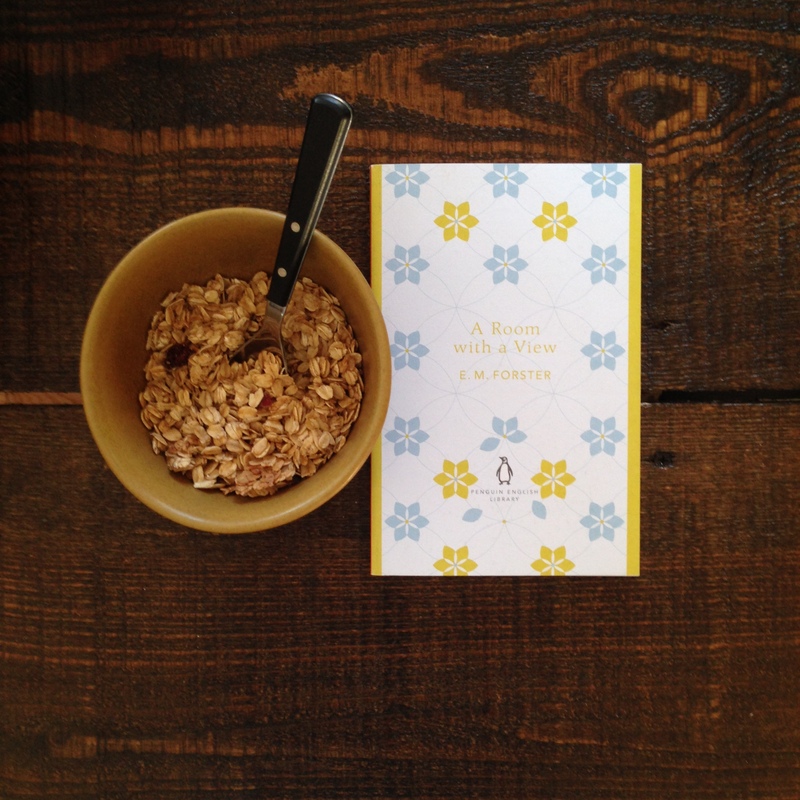 I love the simplicity of the cover for Milk & Honey with the little bees. 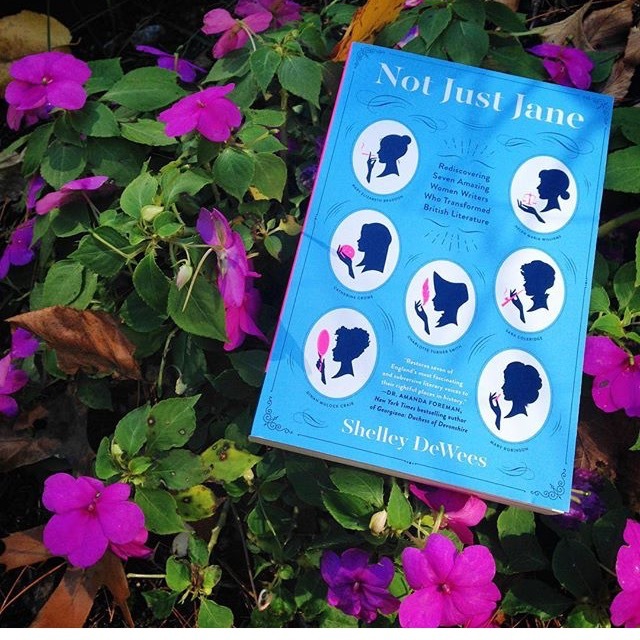 EEEEP LOVE ALL THE JANE AUSTEN I’M SEEING!! !